Plato, an eco-warrior, and part-time plumber fixes watery problems like leaking taps, but he also fixes grumpy people with jokes or a smile spray. His tool kit is legendary. Despite ferals along the creek bank, Plato is on call to help Zanzibar and his family who are renovating their old creekside house. We also offer a Teachers' Guide and Classroom Performance Script as free downloads (see Links below). I liked the title Plato the Platypus. The smile spray was really cool and the Feral Cat was good. 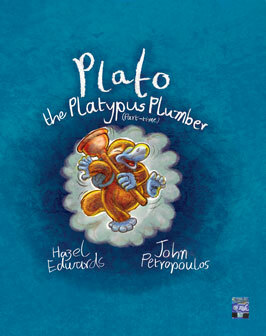 Plato the Platypus Plumber is a great book. I like how the part-time platypus is named Plato (after the Greek thinker). The smile spray was a good idea because it actually worked. I need some of it at my house sometimes. When Dad blocked the toilet it was funny. What a special little guy the dear Plato is! His business card states “Pipes, taps and grumpy people fixed”. He is always there for his good friend Zanzibar and his parents, to lend a hand in times of renovation, accident or embarrassing toilet blockage. A quick sprits of smile spray on his way out and even Mum has a grin on her face. He has a very unique tool kit. As well as being a delightful story about a little platypus who plumbs, it also touches on subjects such as drought and environmental changes, pollution, platypus facts, conservation and feral animals. Beautifully illustrated by John Petropoulos, I believe this is his first picture book so congratulations and brilliantly done. Hazel Edwards never disappoints; this book is great for the primary school as well as under 5’s as there is so much to get out of it afterwards in discussions and activities. I confess to a soft spot for Plato. I love the quirkiness of this book. Plato is a special kind of plumber, one who fixes not only leaking pipes, but also grumpy people. His tool kit backs this up, with spanner and hard hat alongside some smile spray and a jar of happy. Plato's human friend, Zanzibar, lives in a house that is constantly being renovated. So Zan and his family need BOTH of Plato's skill sets. Plato the Platypus Plumber (Part-time) is multilayered - a delightful fantasy about a friendly platypus, interwoven with opportunities for kids to learn about taking care of the environment. Some toilet humour is inevitable in a book about plumbing - kids will love it, and teachers and parents will appreciate that it is handled gracefully by Edwards. Water has secrets … and memories flood downstream with the creek. Children are fascinated by water, by both its power and mystery, and its practical uses. Plato the Platypus Plumber taps (ahem) into that fascination. There are so many interesting features in the book, the kind you pick up after repeated readings. Apart from the beautiful quote above that ties the book together, children will love delving into Plato's life as an eco-warrior and extreme monotreme, and finding out about such platy-problems as feral cats and plastic bags. It's a strong environmental message, but never preachy. Petropoulos' crayon drawings are vibrant, adding to the book's humour and charm. My favourite page is the one where Plato sidesteps some feral cats and distracts them with a joke. Each page is full of life and colour, with cartoonish details to make us grin. Petropoulos actually developed the font from his own daughter's handwriting, giving the book the look of a hand-written journal. Plato The Platypus Plumber is just calling out to be shared with kids. Schools will love it, as it supports studies on water, Australian animals, and jobs that people do. I think boys will be especially attracted to the plumbing details and Plato's encounter with sludge, 'the yucky stuff'. It's also a perfect book for following up with creative ideas for water play. Yet another bonus is that the publisher's website has a Teacher's Guide and a Classroom Play Script available as free downloads. Don't you love it when publishers add value to books that way? 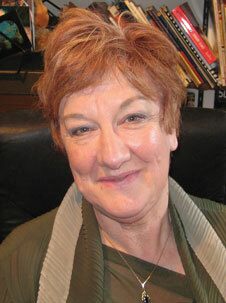 Hazel Edwards is a Melbourne-based author who writes books and scripts for children and adults. She has written 200 books, which have been widely translated. She won the 2009 ASA Medal for services to the writing community & is short-listed for the 2010 Astrid Lindgren Children’s Literature Award. There’s a Hippopotamus on our Roof Eating Cake is her best known title, which has continually been in print for 30 years and adapted for stage, radio, video, and puppetry. 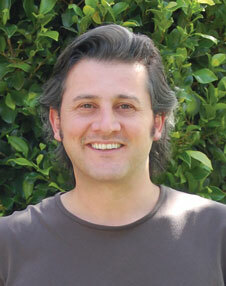 John Petropoulos is a graphic designer and illustrator living in Melbourne. He is best known for his work as a comic book creator. He co-produced nine issues of the multi-award winning Bug & Stump by Aaargh! Comics. Plato is his first children’s book.